You must make sure your builder has installed a 32mm white telecommunications conduit from the front boundary of your lot to the meter box location on the side of your house. Your builder can install this conduit, or you can arrange for OptiComm, who undertake all Optic Fibre Network Connections, to install this conduit for you. Typical costs for up to 10 metres of trenching and conduit would be $440 (GST inclusive). The OptiComm Customer Connection Information Desk can be contacted on 1300 137 800. This conduit should be installed during construction of your home. 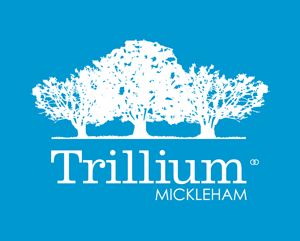 Structured Cabling of your home is optional, but highly recommended, as it will enable you to take advantage of all features the Trillium Optical Fibre Network has to offer. It is recommended that you arrange a quote to cable your new home from your builder or OptiComm’s contractors early in your construction phase or at contract negotiation as the wiring should be done at the frame stage of construction. Structured Cabling is an additional cost to the conduit and customer connection. When you have received your Certificate of Occupancy or are about two (2) weeks before you move in, call OptiComm's Customer Connection Information Desk on 1300 137 800 to arrange the connection to the Optical Fibre Network.